Assistant editor Ian Bolland spoke to Peter Brady, CEO of digital service agency Orbital Media; Dr Simon Rudland, a GP with over 20 years of clinical experience; and Paul Brown, chief executive of Suffolk Primary Care following the publication of the NHS Long Term Plan. Is there renewed pressure on medtech firms to make the Long Term Plan workable? Paul Brown: There is certainly an opportunity for medtech firms to rise up to the challenges facing the NHS. For the Long Term Plan to succeed, it will require an effective partnership and synergy between clinicians, technology and patients. Peter Brady: I wouldn’t suggest that there is pressure. I would suggest the Long Term Plan outlines significant opportunities for technology to play an important role in mitigating the systemic pressures healthcare faces in the 21st century. As we are confronted by a perfect storm of rising healthcare costs, ageing populations and falling numbers of healthcare professionals, a variety of technologies will have to step into the breach. What kind of additional opportunities do you envisage working with the NHS? Peter Brady: Based on our experience of the healthcare system, we note that there are some fundamental issues relating to patient education and self-care, which are having a very serious impact. If we can use technology to improve healthcare education and promote patient empowerment, the improvements in healthcare delivery could be transformative. For example, up to 90% of asthma patients use their metered dose inhalers incorrectly, which has a very strong correlation with rapidly deteriorating asthma healthcare outcomes and mortality rates. Asthma treatments are regarded as being very effective when deployed correctly, so, with the right understanding of the condition and self-treatment, we could be significantly reducing the number of visits to A & E, reducing NHS expenditure and ultimately saving lives. Paul Brown: NHS is at the forefront of clinical research and can provide a great wealth of insight as to how med tech technologies can make a positive impact. Simon Rudland: We need to be focusing on the opportunities to transform care pathways, particularly for patients with long term conditions, at a primary care level. GP groupings through Federations or Super partnerships offer exciting opportunities for collaboration and research with medtech companies. What kinds of technologies need to be used more to make the ambition within the plan a reality? Simon Rudland: We don’t know yet – the technical solutions need to solve the problems! AI will certainly be critical. Peter Brady: We are potentially living in a golden age of innovation within healthcare. The convergence of technologies such as artificial intelligence (AI), blockchain, robotics, virtual reality and augmented reality, are offering almost limitless opportunities to improve healthcare outcomes. If you had to pinpoint one technology that will have the biggest impact on delivery of the Long Term Plan I would put my money on AI. Its influence on every aspect of healthcare will be profound. Paul Brown: We need to move away from making access to clinicians the priority and more about giving patients the information they need – be it when their next appointment is? What were my latest test results? Or where I can access more guidance and support about a minor ailment or post-surgery? This is not always the GP or consultant. Can technological solutions really reduce bureaucracy, or is just a case of making it more manageable? Paul Brown: Yes, very much so. For example, we have recent begun participating on a project to use robotic machine learning to streamline process for clinical results. As a result we would expect to reduce clinical workload. Simon Rudland: This could go either way! We don’t want more information as GP’s – we want the right information at the right time! We don’t want worried well patients either. It’s very important that we empower patients whilst ensuring that the technology they’re using is properly validated so patients are actually accurately measuring biological parameters. An example would be concerned over the accuracy of wrist blood pressure assessment compared to brachial blood pressure. Peter Brady: When patients’ lives are at stake, it’s important that the system has a variety of bureaucratic checks and balances. However, it is my belief that technology, developed in the right way, will have a significant impact on making the typical bureaucratic healthcare functions more efficient. What affordable solutions are available and what can medtech companies do to make them more mainstream? Peter Brady: Medtech solutions really need to save healthcare professionals time, save the NHS money and improve healthcare outcomes. These are the key criteria that new healthcare technologies are being considered against. If you can meet all three of these criteria, that’s the sweet spot for achieving mainstream status for a new healthcare technology. Technology solutions such as AI digital assistants for improving patient education or using virtual reality for simulated healthcare professional training, are already very affordable and very effective. Paul Brown: Affordability is perhaps the single largest barrier for the adoption of medtech. In primary care budgets are limited and businesses cases highlighting the benefits of medtech such as resources saved is often lacking or over emphasised. To make medtech more mainstream it needs to be cheaper or have clearer benefits. 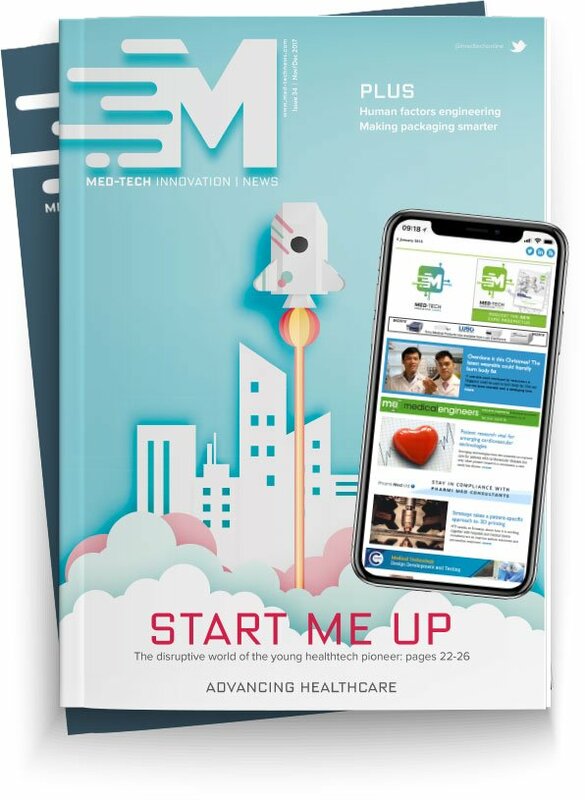 Simon Rudland: There are lots of simple low cost tech like AF detection and home BP monitors – medtech needs to be engaging with primary care, to transform high volume care pathways. Given the amount of digital technology that has been experimented with so far in recent years, what have you seen that works well so far, and what needs to improve? Simon Rudland: AF detection has definitely been a big success where the benefit is a tangible reduction in the number of strokes, if patients are anticoagulated appropriately. The big issue is with technology looking for a home, rather than a problem being defined and a technology solution adopted to meet that need. Paul Brown: Look at the success and adoption of step counters. It provides a simple feedback loop for users. More steps = better health. Social media technology to me has provided some of the biggest advancements in driving social change, we need to further tap into that by reinforcing positive health behaviours. Peter Brady: A variety of apps and wearables are offering improvements to patient tracking and monitoring that are already having a significant impact. These include status trackers for ECG, heart rate, glucose levels, blood pressure and much more. All of which are empowering patients to take greater control of their conditions during the long periods between check-ups and allowing healthcare professionals to intervene more efficiently / effectively. The use of AI within healthcare will be transformative. However, we need to significantly improve the framework and guidelines for accessing and using data within the NHS. Without this, the potential gains from AI, could rapidly wither on the vine. Do you think the ‘digital first primary care offer’ by 2022/3 outlined in the Long Term Plan is achievable? Peter Brady: With the right framework, support and engagement, anything is achievable. Simon Rudland: It’s a big ask. However, if the adoption is properly funded and the products have a meaningful impact in general practice, then undoubtedly general practice can do this. General practice, if incentivised, is one of the most adaptable innovative areas within health. Paul Brown: Of course it is possible, however it is likely you will see some early adopters achieving the desired aim and other areas not. How can the industry help support the NHS in providing more solutions that support good mental health and improve recovery? Paul Brown: Continue what they are already doing. There are many known digital products out there such as Big White Wall that help with mental health and recovery. These products just need more promotion and to be made more visible to the public. Peter Brady: Many technologies are emerging which could have a significant impact on mental health support. Whether it be virtual reality simulations that can help PTSD or AI technology that can accurately predict when intervention is required to prevent a suicide. Simon Rudland: Digital health has the ability to impart patience and help to make better choices, food, alcohol, or exercise. To make good choices, you may need to be motivated and feel well enough to do this in the first place, which is where the big challenge lies in promoting wellness to patients with mental health problems. Despite this, there are lots of opportunities to improve compliance with drugs, improve monitoring by offering near patient testing for things like ECGs where there are QT interval concerns. Are they any different challenges that integrating technology into the health service has compared to other sectors? Simon Rudland: The two main issues are around quality of decision-making. If you’re making decisions that can impact on someone’s health then the information you start with must be of a very high quality. The other area is confidentiality, data security important in all sectors but vitally important in health. Paul Brown: I’m sure integrating technologies is as equally difficult in other sectors. Banking, Nuclear, Military all have unique and complex challenges. Peter Brady: It is obviously hugely challenging when innovating technologies that could impact human healthcare outcomes. There really is no room for mistakes. In context of this, successfully navigating the regulatory framework can represent substantial difficulties. However, overcoming these difficulties are precisely what makes it so rewarding! What kind of advances in medical software and hardware do you envisage could have a profound impact on the NHS in the next 10 years? Peter Brady: Use of AI in radiology as a diagnostic analysis tool is already showing all the signs of being a game changer. But this is just the beginning. AI’s impact will infiltrate every facet of our healthcare system over the next 10 years, driven by financial necessity and better healthcare outcomes. Simon Rudland: Why would anyone want to see a doctor who isn’t working with AI in 10 years’ time? This will be the big change. Also improved access to near patient testing will change care pathways, enabling a test for sepsis, or bacterial infections to be in the pharmacy store. Paul Brown: A single clinical patient record accessible to health clinicians as and when required would have a profound and positive impact on the NHS. How can the industry assist in educating the NHS workforce to make sure any technological transition is as smooth as possible? Paul Brown: Techniques to improve workforce skills and competences are always welcome. Using technologies to share best practice, improve training and access latest technological advances is something industry certainly has a role in. Simon Rudland: There’s a huge education opportunity, which needs to begin in undergraduate courses for nurses, doctors, physician assistants and paramedics. The current offering is woefully inadequate, and is not preparing these clinicians for the augmented world they will be practising in. We also need to be sharing information with our patient groups to empower them, so enabling them to engage with the opportunities technology affords.